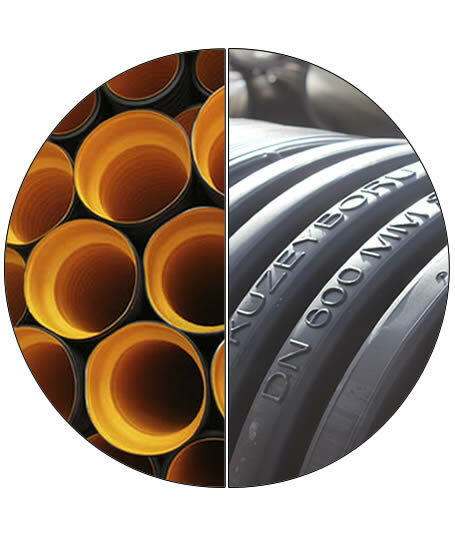 Kuzeyboru is manufactured corrugated pipes with the diameter from 100 mm to 1200 mm as self muffed corrugated pipes or spiral wound according to international standards of TS EN 13476-3 and DIN 16961-16566. Also we are able to produce in desired diameters and lenghts as per the client demands. 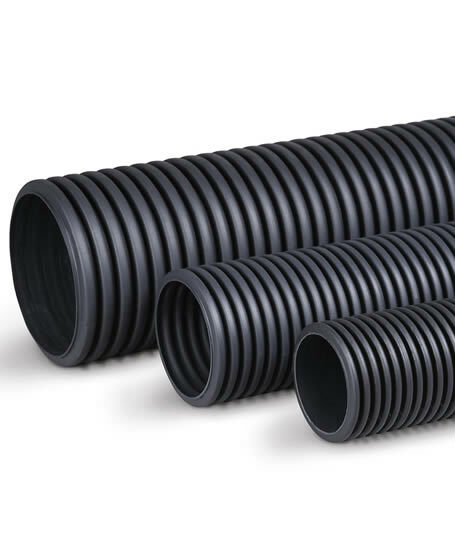 Kuzeyboru Corrugated drainage pipes will be indispensable for your projects with special molds and high quality. Call us for all diameters you want! 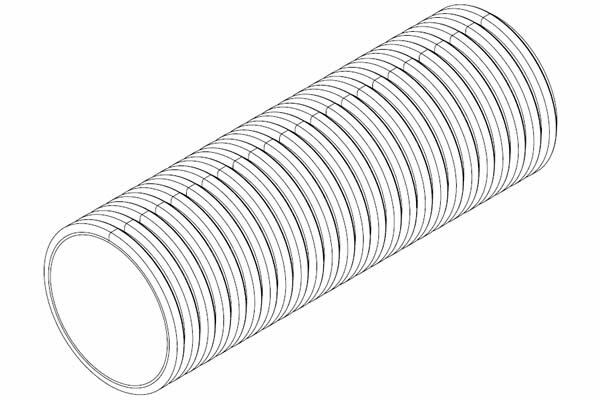 You can download our corrugated pipe price list in PDF format by clicking and pro-fit solutions, you can have information by calling +90 382 266 23 03. Kuzeyboru Corrugated Drainage Pipe is high-strength due to high rib strength, corrosion resistance due to polyethylene, full sealing feature, 50 years life, corrosion-resistant organic compound, smooth inner surface, easy to transport, economical and saved time to laying of pipes. With its more economical, stronger and more reliable structure, Kuzeyboru pipe provides suitable solutions for your projects. 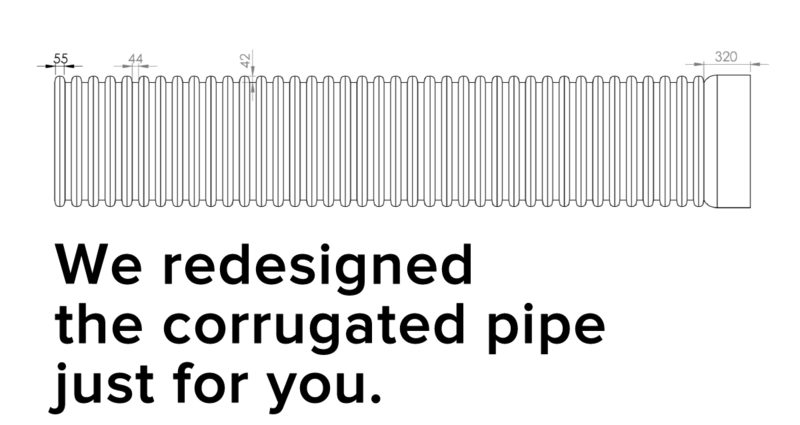 To take advantage of the Kuzeyboru Corrugated pipes please contact us for the 2019 corrugated pipe price list. Thanks to the flexibility of Kuzeyboru corrugated pipe, it would not be broken by being affected situations such as impact, traffic load, earthquake, landslides. Even if the floor is, it would not be break by overdrawing from that area. It does not leak because two gaskets are used in the installation of Kuzeyboru Corrugated pipes. Due to the high abrasion resistance, the pipe is drilled to allow ground water and discharge. 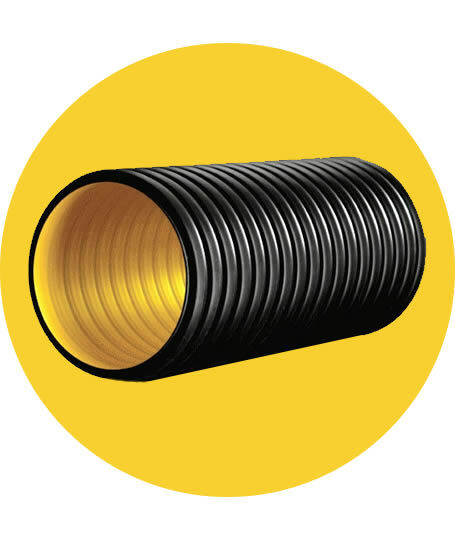 Pipes made from Polyethylene and Polypropylene material has high resistance to corrosion Please choose Kuzeyboru drainage pipe with the diameters suitable for your tightness, durability, flexible structure projects. Kuzeyboru Corrugated pipes are resistant to flow because the plastics are smooth and the fluid flows with a higher fill rate. This reduces the project costs by selecting a lower diameter group in the project. Corrugated pipes are much stronger than other pipes, are easy to carry and do not require the use of large work machines when assembling. There is no product loss during application. All kinds of connection parts make it possible to produce special product for the project. 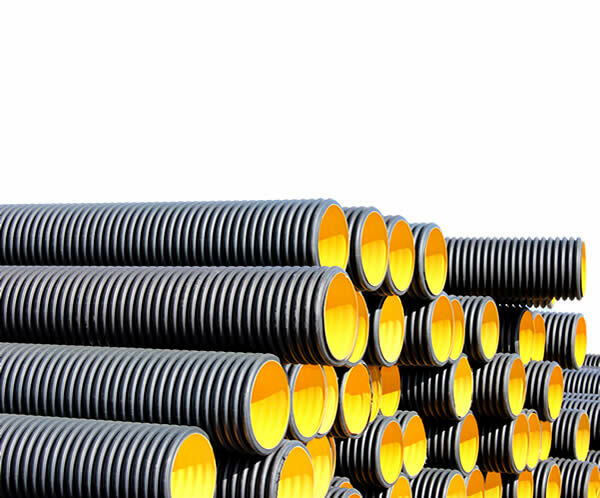 Kuzeyboru corrugated pipes reach you with its competitive price, quality and easy application. You can reach us through Kuzeyboru corrugated pipe weight table and our other website. Corrugated Pipes made from Polyethylene and Polypropylene raw materials and have a high resistance to corrosion. They have a guaranteed life of 50 years and can be used for 100 years. Since plastics are smooth hydraulic, they high resistance to flow and the fluid flows with a higher filling rate. This advantage to reduces the project costs by selecting a lower diameter group in the project. Kuzeyboru corrugated pipes are used with confidence in their projects with high price and high quality. They are also easy with the corrugated pipe joining methods. 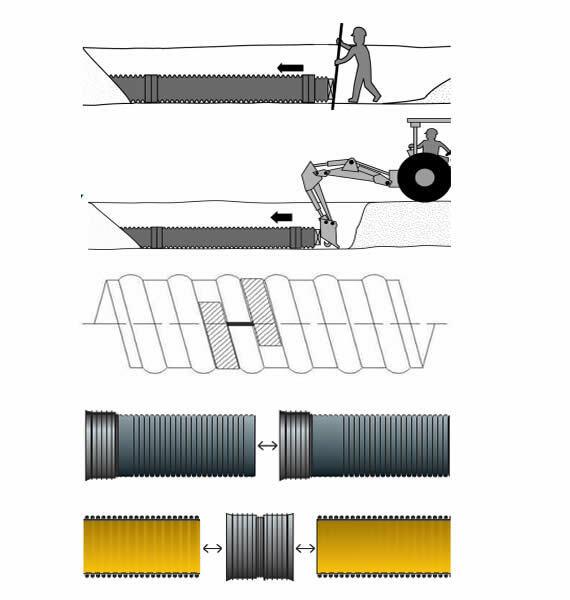 Three methods are used to combine Kuzeyboru Corrugated Pipes. By using these methods, the pipes can be combined. Gaskets are placed in the first ring of the socket part of the pipe. The other side is tightened by hand (or by using a lever) and attached to the second projection of the pipe. The final shape of the gasket should be such that it remains outside when the seal is attached. Before fitting, gasket materials such as soap or silicone should be used for compatibility in sealed or pluggable parts. You can get the information and technical chart for Corrugated Pipe of Kuzeyboru from the chart in the left. All other technical details and information you may be interested in you can know by calling our line +90 382 266 23 03 You can send an e-mail to info@kuzeyborugroup.com to get an offer.